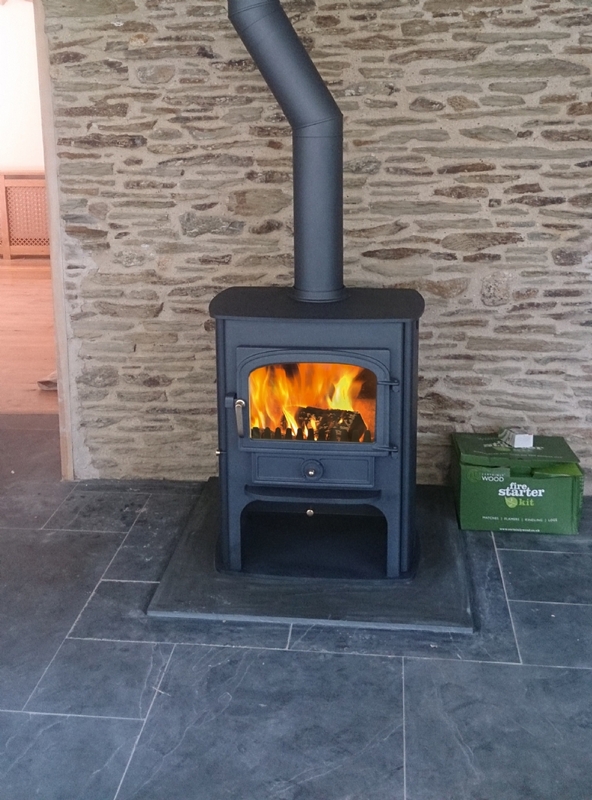 Clearview Solution 500 installation wood burning stove installation from Kernow Fires. 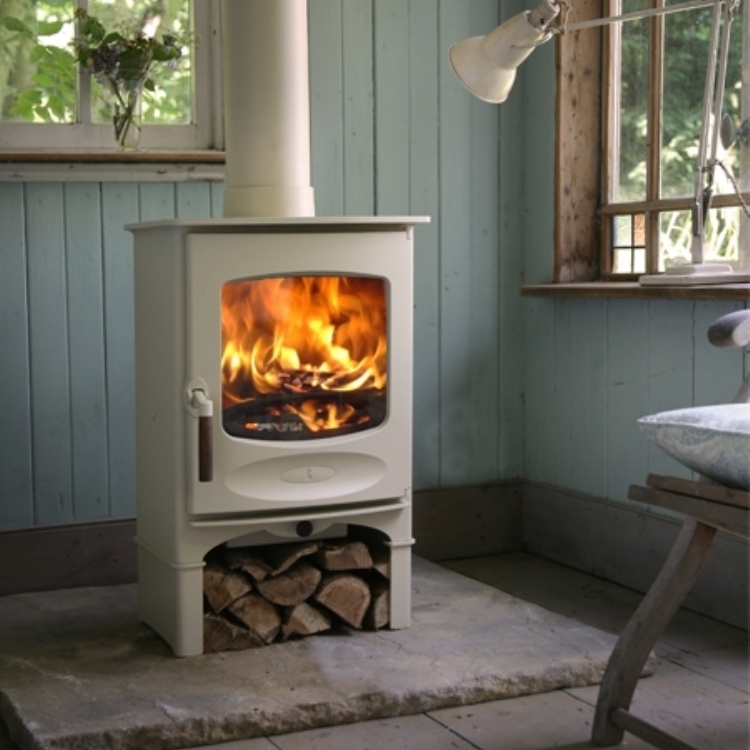 Customer Aspiration: A freestanding traditional stove to warm an extension and fit in with the surrounding. 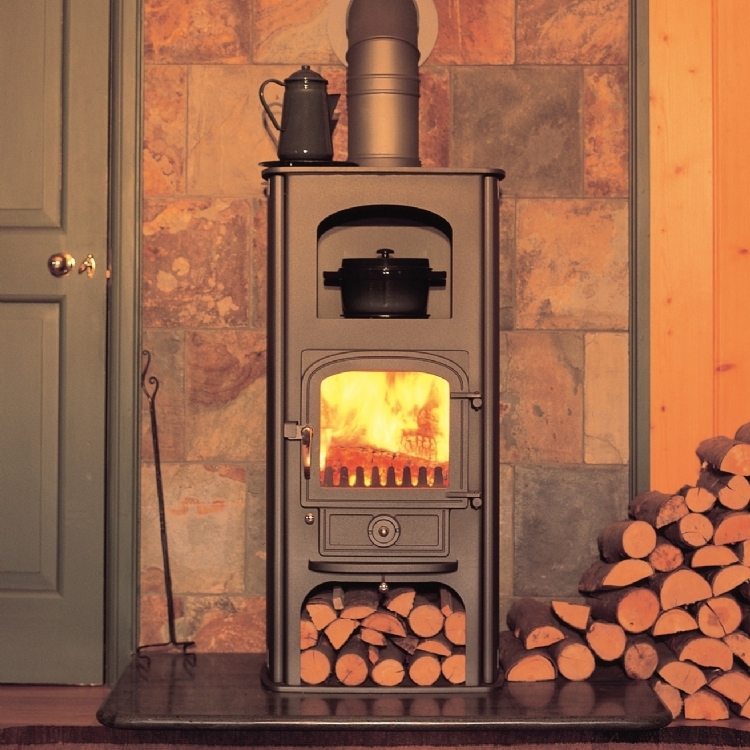 Special Requirements: Positioning of the stove in relation to the open door way must be a safe distance. The chimney is currently very close to the doorway. To keep the installation as un-intrusive as possible we used a slate hearth to match the already laid floor. 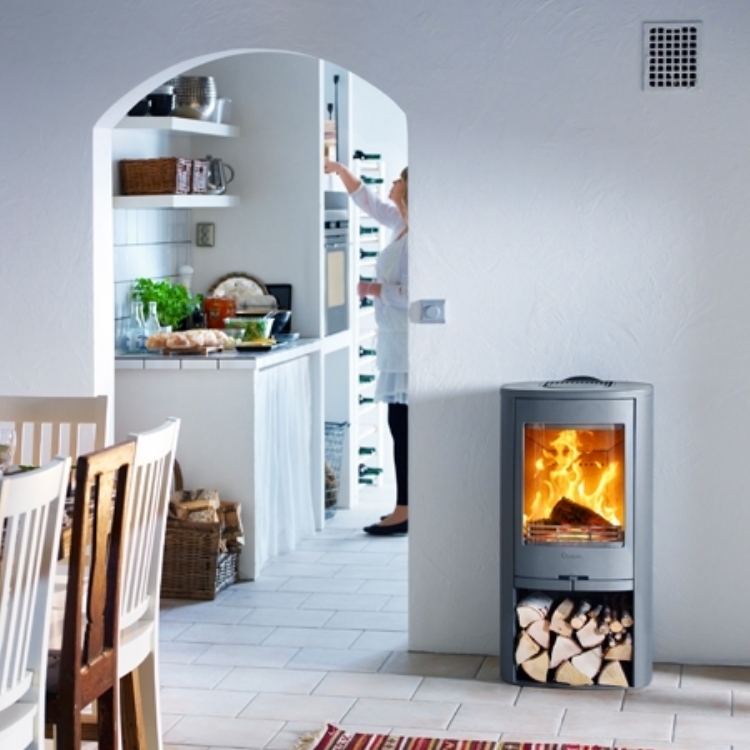 By adding a couple of bends to the flue we are able to move the Clearview Solution 500 a safe distance away from the doorway. The end result is really lovely and enables the new extension to be used all year round.